The Medical UltraSound Imaging Center, MUSIC, is an international expertise center on functional imaging using ultrasound for medical applications. MUSIC develops ultrasound based techniques for improved diagnosis, guiding intervention and monitoring treatment from idea to initial clinical application. The close collaboration with clinicians on one side and commercial partners on the other side warrants that these techniques not only address important clinical problems, but also facilitate commercialization of the developed solutions. Focus is on strain and flow estimation to assess the functionality of the cardiovascular system, muscles of the extremities, and urinary tract. These techniques are also used to improve early detection of cancer in breast and the neck. Additionally, there is a wealth of expertise on quantitative echography. Quantitative analysis of the echogram is used to stage liver fibrosis, assess liver fat content and guide interventional procedures. Additionally, our center has developed a freeware software package for quantitative monitoring of the performance of ultrasound equipment: QA4US. The research is funded primarily by the Dutch Technology Foundation (STW) and the Netherlands Organisation for Scientific Research (NWO). Most projects are carried out in close collaboration with industry (Samsung Medison, Siemens, Philips Medical Systems, Esaote Europe, Encapson). MUSIC is part of the Department of Radiology and Nuclear Medicine and embedded in the research theme “Vascular Damage” of the Radboud University Medical Center in Nijmegen. August 20, 2019: Anne Saris will defend her PhD thesis with the title 'Blood velocity vector imaging in the carotid artery using ultrasound' at 14.30. 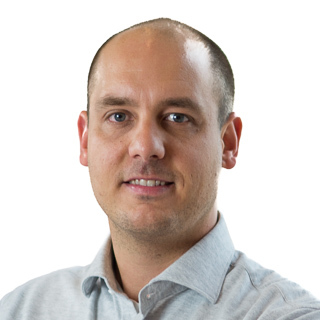 July 2, 2019: Stein Fekkes will defend his PhD thesis with the title '3D Carotid Elastography'at 14.30. January 30, 2019: Thomas van den Heuvel defended his thesis on Automated low-cost ultrasound. 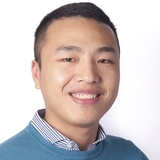 He showed that a deep learning system can perform real-time detection of risk factors for pregnant women using the input from a low-cost ultrasound device. His work was covered by NOS op 3, national radio, Algemeen Dagblad, Medisch Contact, and RTL Z. Next month, Thomas will return to Ethiopia for further testing of his device. 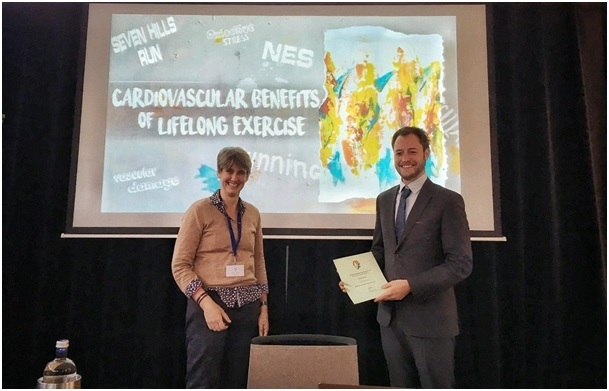 January 18, 2019: Roel Verhoeven won the 'Best clinical poster award' at the Imaging the Biomechanics of Life (TOPIM) conference in Les Houches, France as hosted by the European Society for Molecular Imaging. Apart from a great sweater as a rememberance to this award, he more importantly got the opportunity to again present his work as an oral presentation for the main audience! January 9, 2019: Thomas van den Heuvel succesfully defended his PhD thesis, titled 'Automated low-cost ultrasound: improving antenatal care in resource-limited settings' . 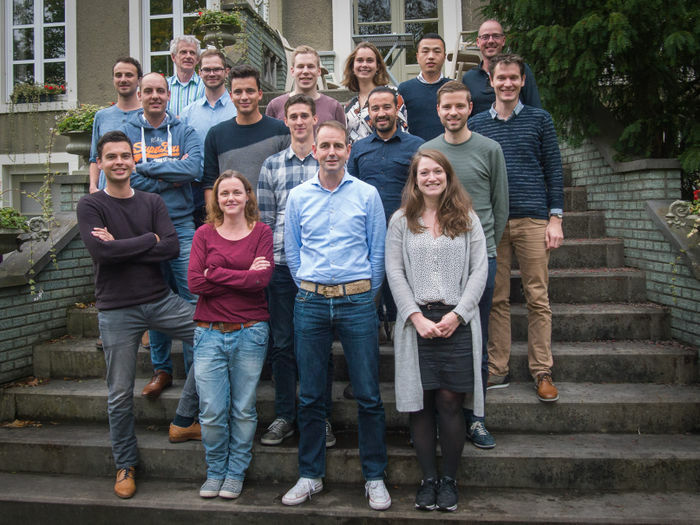 November 8, 2018: The consortium led by Chris de Korte was awarded an NWO Perspectief grant for ultra-X-treme: ultrafast ultrasound imaging for extended diagnosis and treatment of vascular disease. Five academic partners (Radboudumc, ErasmusMC, University of Twente, University of Technology Delft, and Eindhoven University of Technology) together with 8 industrial partners (Philips, Tomtec, Vermon, Mindray, Bracco, Ansys, Pie Medical Imaging and Verasonics) and two hospitals (Catherina ziekenhuis Eindhoven, Rijnstate) will join forces to make vascular interventions really patient specific. 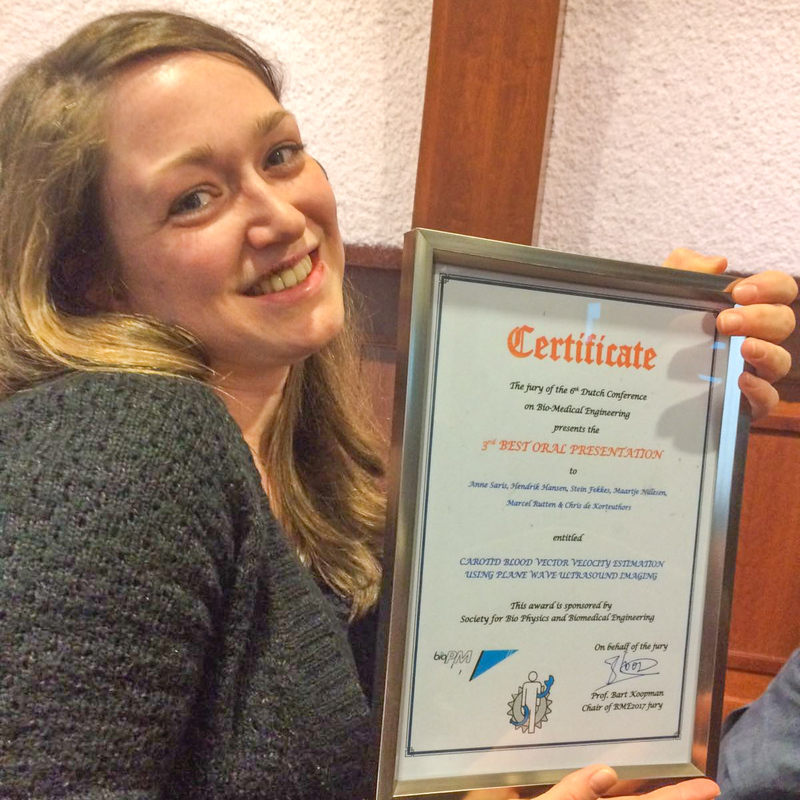 December 1, 2017: During the annual meeting of the Dutch Physiology Association, Dr. Martijn Maessen received the prestigious Hamburger Award for best Thesis 2017. To read his thesis entitled “Cardiovascular benefits of lifelong exercise” click this link. Martijn was the first PhD student co-promoted by Dr. Rik Hansen from MUSIC (Dr. H.H.G. Hansen). The other members of the promotion team were prof. M.T.E. Hopman (promotor), prof. D.H.J. Thijssen (promotor) and Dr. T.M.H. Eijsvogels (co-promotor). November 27, 2017: On November 10 and 11, Leon de Jong and Anton Nikolaev performed research on the InScience festival on behalf of the MURAB project. Visitors of the festival were able to actively participate in research in the Mariënburg chapel, which was part of the festivals DIY labs. The aim is to develop and validate new methods for 3D ultrasound acquisitions. Later on, this will enable accurate image fusion of MRI and US datasets, which is required in the MURAB project. The MURAB project focusses on improving accuracy and efficiency in the diagnostic workup of breast cancer and muscle disease patients. The cooperating students; Vera Poort, Harm Weekenstroo, Pim van Lochem and Anne ten Dam are hereby thanked for their help at the festival. The setup was well visited and a total number of 22 volunteers were scanned. For researchers as well as festival visitors, this event was very informative and fun and is definitely worth repeating. 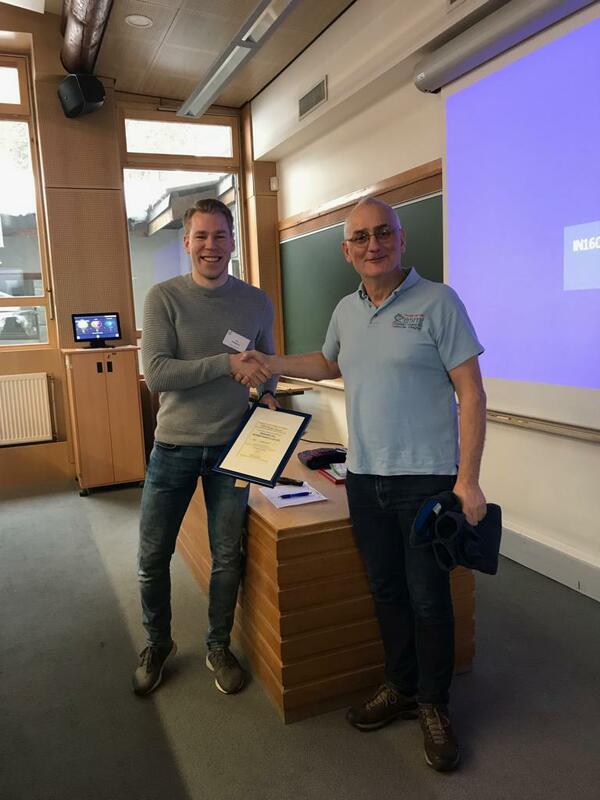 November 24, 2017: Thomas van den Heuvel wins the prize for the ‘Best Oral Presentation’ of the Radboud Institute for Health Sciences PhD retreat 2017 for his presentation entitled: ‘Automated detection of maternal risk factors in developing countries’. November 9, 2017: ing. Gert Weijers has received an NWO Open Mind grant for his research proposal together with Freke Wilmink (a Gynaecologist at Radboudumc) entitled: What do the lungs of unborn children sound like? 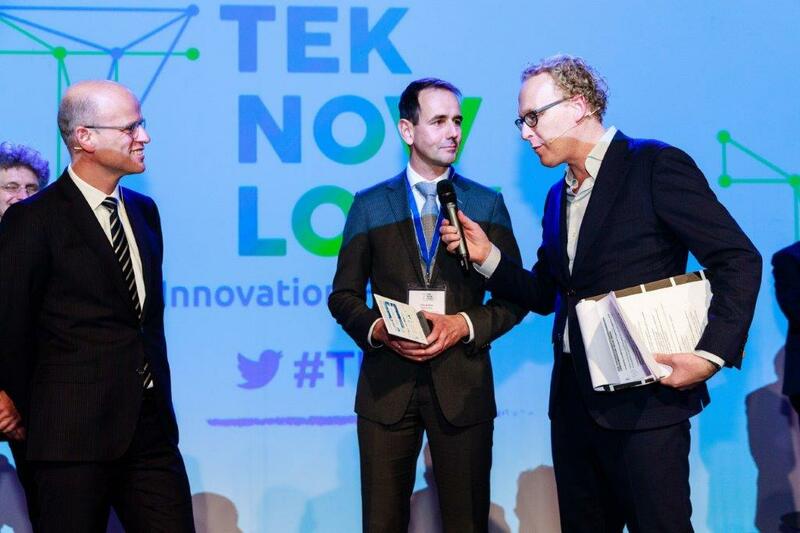 at NWO’s innovation festival TEKNOWLOGY, 9 November 2017. September 24, 2017: Dr. Rik Hansen was awarded the ‘best published paper’-award by the European Federation of Societies for Ultrasound in Medicine and Biology for the Stroke publication entitled ‘Validation of noninvasive in vivo compound ultrasound strain imaging using histologic plaque vulnerability features’. September 24, 2017: At the 29th Euroson congress, 2017 Ljubljana (Slovenia). November 1, 2016: Dr. Rik Hansen publishes the inpatient results of compound strain imaging in the carotid artery in Stroke and in JACC Cardiovascular Imaging. Furthermore, the main result decorate the cover of the latter journal. September 26, 2016: On the 23rd and 24th of September, the annual scientific meeting of the European Society of Breast Imaging (EUSOBI) took place in Paris. Gijs Hendriks received the Certificate of Merit . 40 Scientific abstracts were accepted for poster presentation. The authors of the 6 highest rated abstracts competed for the award, and presented their poster to the jury. Among the six selected abstracts two where from our department. 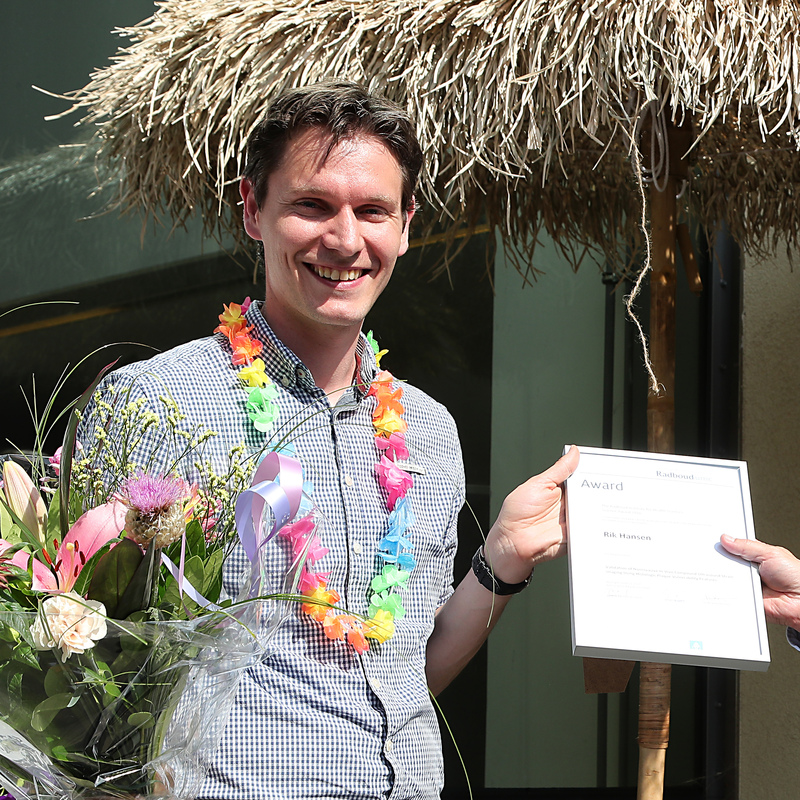 Gijs Hendriks presented “Implementing 3-D ultrasound elastography in an automated breast volume scanner to improve specificity for breast cancer detection”, and received a certificate of merit for his excellent presentation. July 4, 2016: On June 24, the symposium “Echography: New Recipe, now even better!” was organized by MUSIC to celebrate the inaugural lecture of Prof. Chris de Korte. 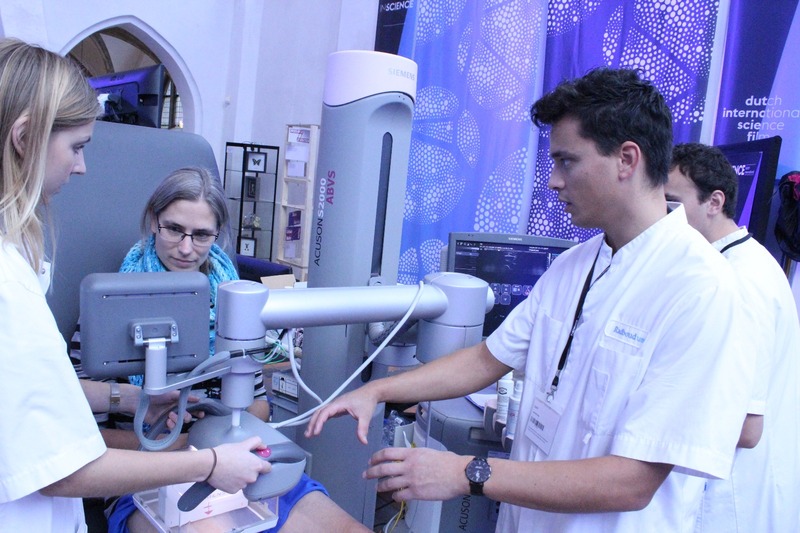 At the Symposium the latest developments in Ultrasound imaging were presented by an international faculty. At the exhibition, the delegates had the opportunity to see these technologies implemented in commercial echosystems. July 4, 2016: Chris L. de Korte gave his inaugural lecture on June 25, 2016 for an audience of 350 people. The title of the lecture was “Echo, the sound of the future” and in this lecture he discussed how we can do more with echo, how we can make it faster, how we can use higher frequencies and that we can do this all while also making it cheaper. 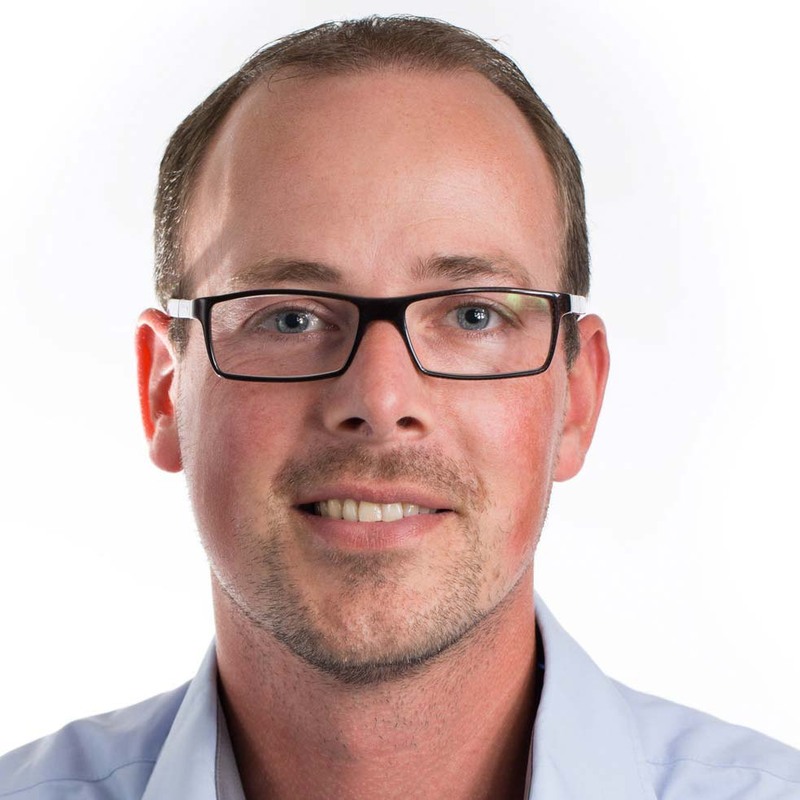 June 1, 2016: June 1, 2016: Chris L. de Korte has been appointed full professor “Medical Ultrasound Imaging” at the University of Twente, The Netherlands. During one day a week he will work on the translation of basic ultrasound techniques to clinical application. This chair is based at the Physics of Fluids Group and will work in close collaboration with Prof. dr. Michel Versluis. April 1, 2016: The Ultrasound Biomicroscanning Meeting 2016 (UBM2016) will be organized by Chris L. de Korte at Bonaire in the Dutch Caribbean. April 1, 2016: Chuan Cheng started as PhD-student on the project "Ultra-fast 3D elastograpy"
October 1, 2015: Dr. Khalid Daoudi started as postdoctoral fellow on photo acoustic imaging. 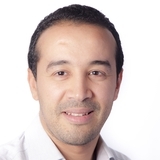 He will focus on clinical applications of photo-acoustic and high frequency ultrasound imaging. 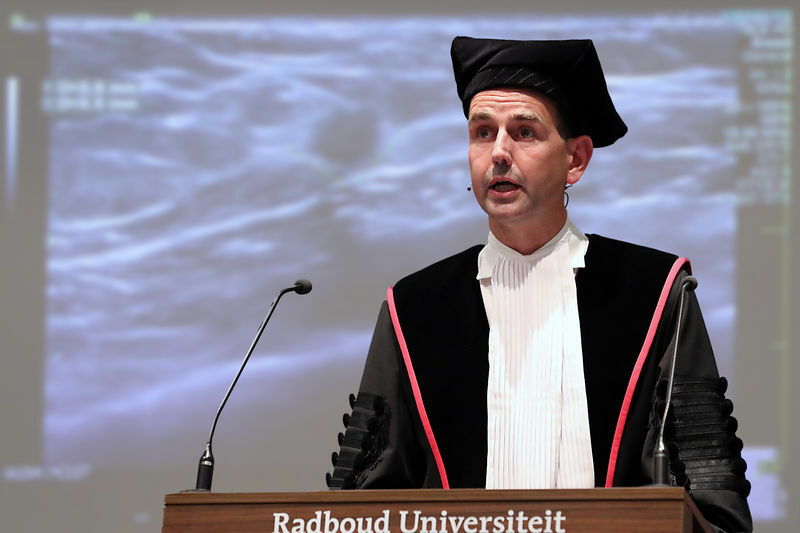 September 1, 2015: Chris L. de Korte has been appointed full professor “Medical Ultrasound Techniques” at the Radboud University, Nijmegen, The Netherlands. April 1, 2015: Prof. Johan M Thijssen was honored with a royal decoration. He received the Officer's Cross in the Order of Orange-Nassau for his work on Medical Ultrasound Imaging and for his extensive social activities. 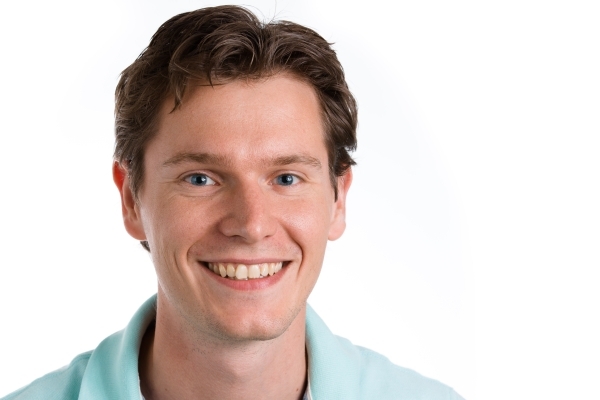 March 16, 2015: Thomas van den Heuvel started as a PhD student on the BabyViewer project. This project is a joint venture of MUSIC and DIAG. December 5, 2014: New Quality Assurance for UltraSound (QA4US II) software update available online for download. New: Trend reporting functionality download QA4US_II (v2.20b). 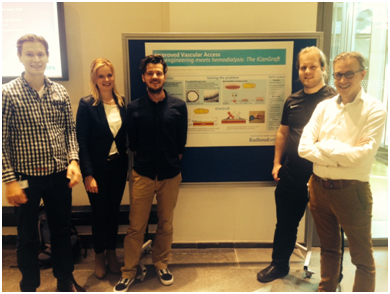 October 27, 2014: For the October 2014 'Battle of the Universities', Rik Hansen from Radiology and Jitske Jansen from Pharmacology and Toxicology worked on a kidney case. Their presentation on improvement of vascular access for dialysis was considered the best solution and they won the battle! June 1, 2014: Aisha van den Abeelen started in June 2014 as a researcher on a study into the use of 3D ultrasound for breast cancer diagnosis. 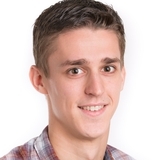 April 1, 2014: Gijs Hendriks started as PhD student on the project entitled: “3D ultrasound elastography for detection of tumours in breast”.